This is my go-to meal. Out of every dinner I’ve ever made and all the new recipes I try and even all the old favorites this is the one I’ve probably made the most often. It’s super easy, super quick, and most importantly, super tasty. 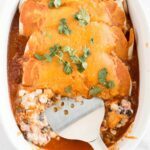 The time it takes to gather all the ingredients, to assemble the filling and roll the enchiladas, and finally to baking is under 30 minutes. The time it takes to devour? I’m pretty sure my first one was gone in 30 seconds! 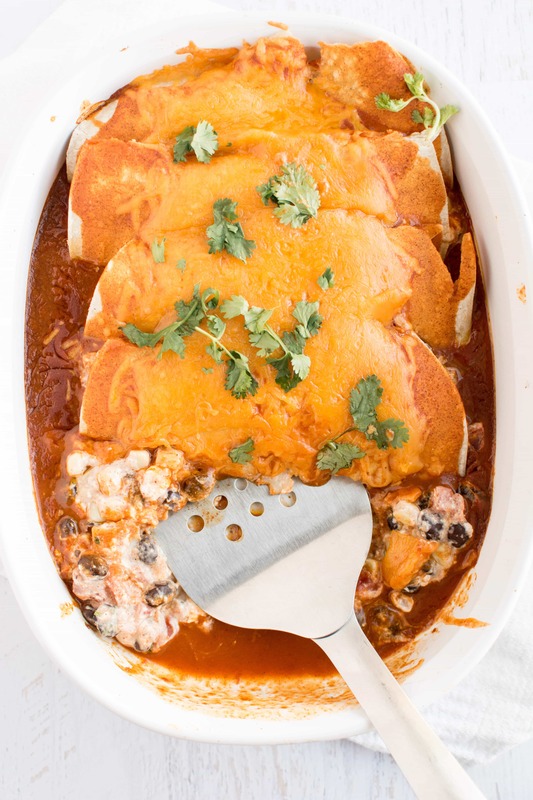 This recipe is adaptable for so many that it is also perfect for serving to company. And I will even venture to say that the meat and potatoes guys will love this vegetarian dish and may not even realize the the meat is missing! 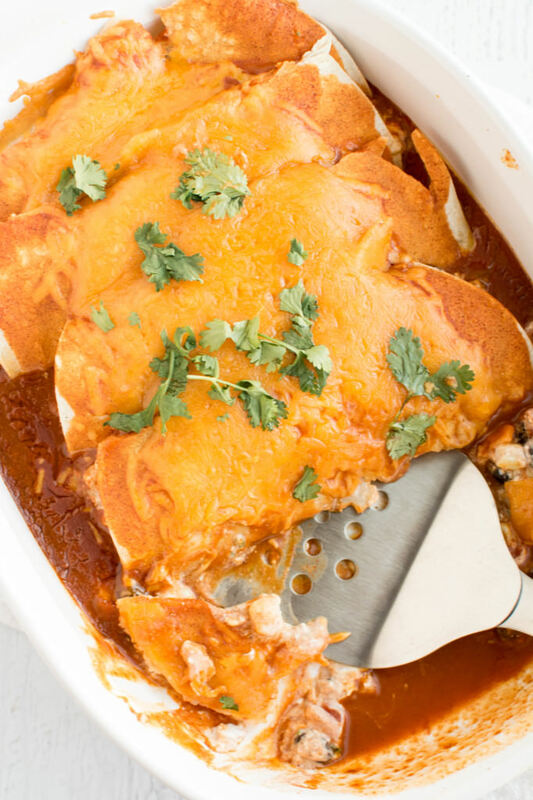 This meal remains my go-to not only because my whole family loves it but also because the ingredients are ones that I usually have on hand. 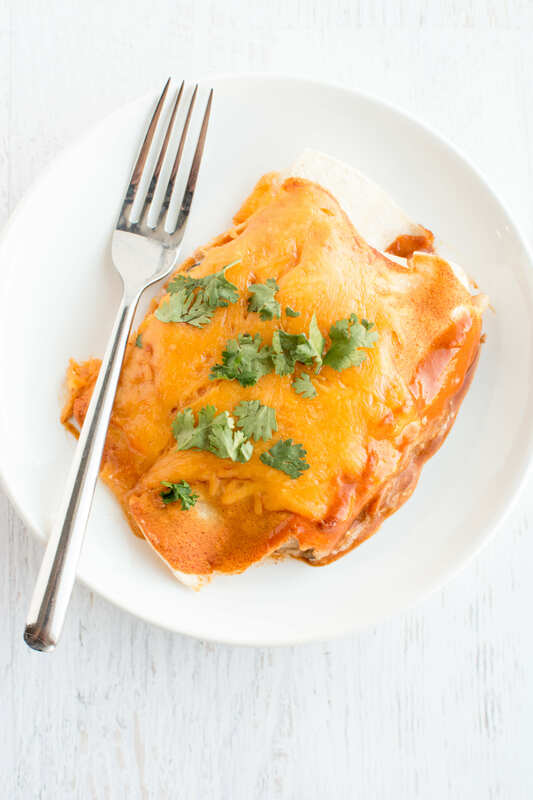 And despite the fact that this dish uses mostly pantry staples it is amazingly fresh tasting! 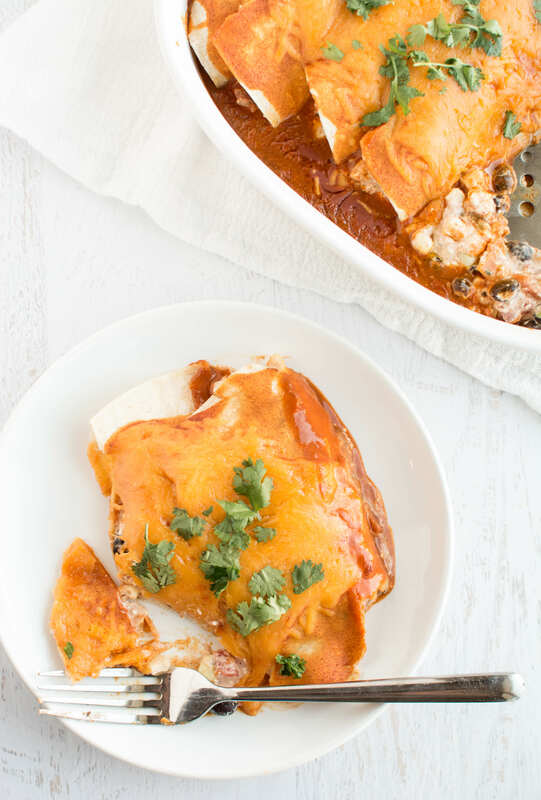 Put your own stamp on this by using your favorite brand of enchilada sauce (or homemade if that’s your thing!) and your favorite cheese! I happen to be a huge fan of the Trader Joe’s sauce and sharp cheddar cheese! 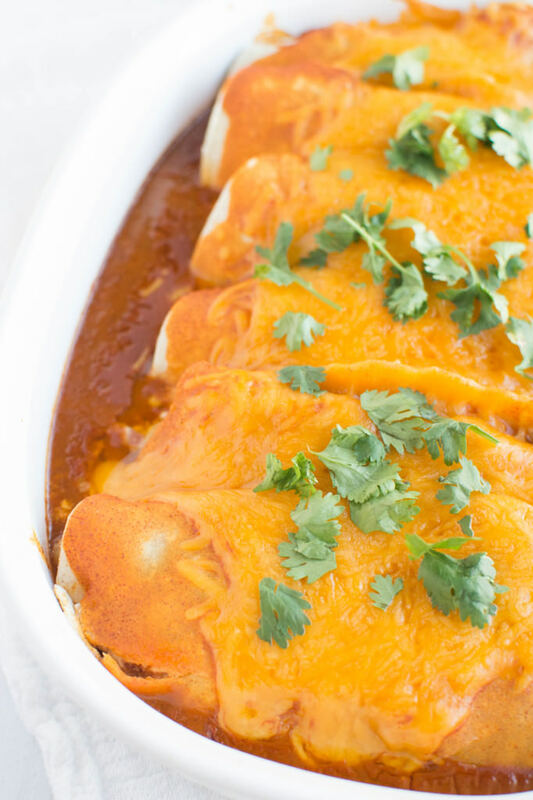 When you can get a meat-and-potatoes guy to like these enchiladas, you know they’re good! 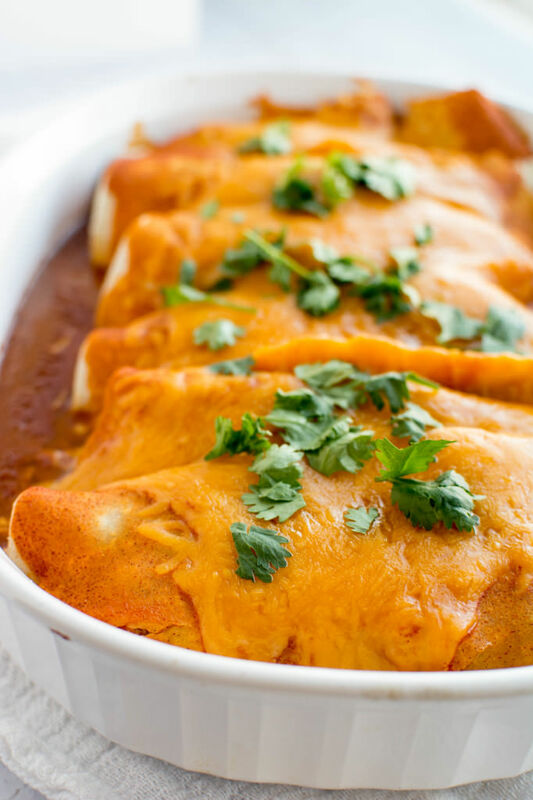 These look so delicious…and easy. Yum!